Korean enegry economist Hoesung Lee has become the new head of the UN’s International Panel on Climate Change. Lee replaces former leader Rajendra Pachauri, as he faces claims of sexual assault in his native India. SNSD leader Taeyeon made her solo debut with mini album I and title track of the same name. I personally loved the MV; how about you? Hurrah for more Harry Potter-inspired K-pop! Big Flo‘s new song is the latest “Obliviate,” after IU‘s version. 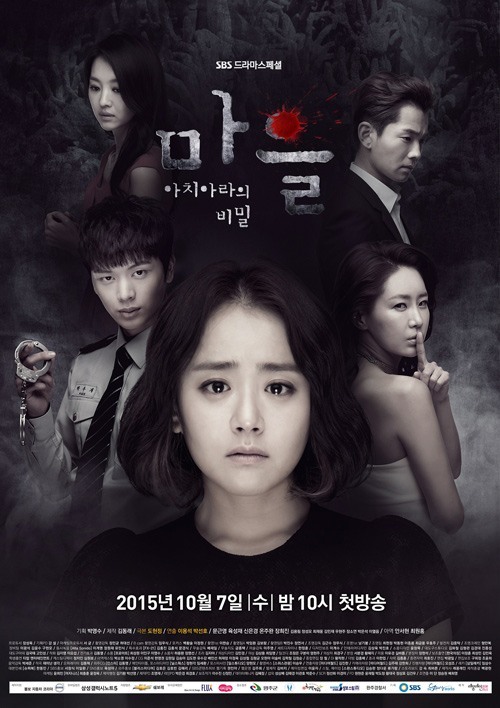 Moon Geun-young‘s new crime thriller drama The Village started airing on SBS this Wednesday. She co-stars with BtoB maknae Yook Sung-jae, who plays a police officer. A Pink‘s Eunji is also starring in Monday-Tuesday drama, Sassy Go Go. The drama revolves around a group of cheerleaders in an academically-focused high school. MFBTY released the MV for “6AM” off their Wondaland album. Topp Dogg has dropped the MV teaser for new song “Emotion” … And a couple of members, too. The group’s agency announced that Kidoh and Gohn are no longer part of Topp Dogg. JYPE’s upcoming girl group Twice has announced their debut schedule on Instagram. Can’t wait for “Ooh-ahh” the 2oth! K-rock band YB are embarking on a national tour to celebrate the band’s 20th anniversary. The first set of shows will be in Seoul, from the 15th to the 18th. Super Junior maknae Kyuhyun will be continuing the SM Solo-coaster, with “Again, When Fall Comes.” Check out the cute Amber-produced trailer for the comeback here! Shinhwa‘s Dong-wan released the teaser for his solo release “Piece,” featuring Cjamm. Zion.T will be dropping a pre-release single on the 12th. The Wonder Girls will be hosting SNL Korea tomorrow. Yubin gave a hint of things to come on Instagram earlier in the week. Cheetah, Giriboy and BewhY will be featuring in Junsu‘s upcoming mini album, Certainly, Yesterday. 2NE1 maknae Minzy has opened her own dance studio, Millenium Dance Academy. IU has a new boyfriend: Jang Kiha of indie band Jang Kiha and the Faces! Both sides confirmed the relationship after papparazzi pics of the couple were released. IU met Kiha, who is 11 years her senior, as a guest on his radio show in October 2013. Best wishes for the couple! And for IU’s upcoming album! What a coincidence! Actress Han Groo has apologised for using her estranged step-siblings academic achievements to boost her own image, without their permission.